Nuclear Power or Fossil Fuel – which is deadlier? A little over 1000 days ago, the world suddenly and alarmingly became aware of a minor power plant located in Fukushima, Japan. In the wake of a double natural punch by a magnitude 9 earthquake followed by a greater than 40 foot tidal wave, the power at this plant was knocked out…being a nuclear power plant, this was a big deal. The world watched in shocked silence as the next few days saw emergency crews pour millions of gallons of ocean water on the nuclear cores in 4 reactors in an attempt to prevent a meltdown. As we now know the efforts may have minimized the disaster but a disaster it was. To refresh people’s memories there were several separate events that made this a disaster. The first was, as the cores boiled away the insulative and cooling water, much of that water was degraded into oxygen and hydrogen via thermolysis. At a certain point, three of the buildings had sufficient build-up of hydrogen that explosions were triggered damaging the building. There are the explosion vids you see at YouTube et al. Now, these were not the cores exploding…at this point the containment vessels for the nuclear reactors were intact, but some were suspected to have been damaged, like the building, by these explosions. Relatively speaking, little radiation was emitted from this and this was short lived. The next event, as the cores are heating up and attempts to repair and cool the reactors are failing, there were what are called “spontaneous nuclear fission”. I admit when I first read this my first thought was Hiroshima. But from what I have read, these events, although technically fission, do not go boom. They do however, and why it is suspected that three of the reactors had for a short period experienced spontaneous criticality, produce increased and specific nuclear radiation. That said, we cannot be sure any of the reactors actually achieved spontaneous criticality…that may take decades to know for sure. The next event, what was famous in the 80’s (thanks to a movie released 12 days before the 3 Mile Island event) as the China Syndrome, was the partial core meltdown. That is when the temperature of the core is sufficient to melt the nuclear fuel. Now when this happens, it is possible…wait! I should explain how, in simple terms as these are the only terms I understand…in simple terms how a nuclear reactor is constructed. First there are the fuel rods…the nuclear part of the plant. Then there are control rods that go between the fuel rods to speed up or slow down the fission. These are housed along with the frontline coolant in the RPV or Reactor Pressure Vessel…usually made out of a steel alloy. Then there is a quote ‘dry wall,’ a steel walled container holding the RPV. This is itself within a containment vessel…usually reinforced concrete. 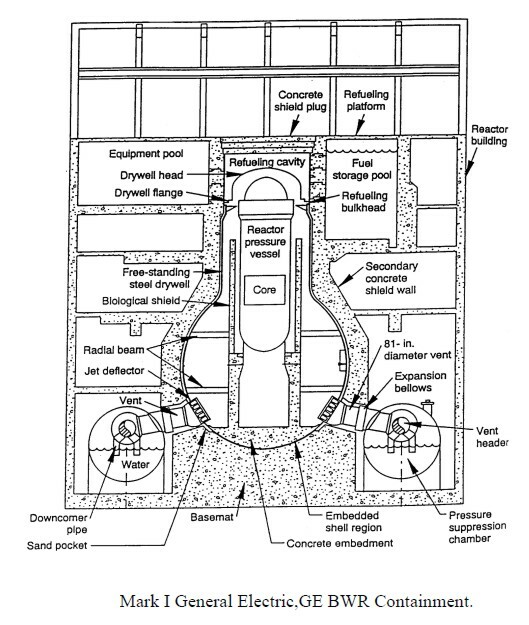 So, in the cases of meltdown, it is believed that the molten fuel breached the RPV and maybe even the drywall, but at its worst, only 70 cm of a 7.5 meter concrete floor was quote ‘dissolved’ in the worst meltdown event. So, even in the worst case scenario, none of the reactor fuel escaped the building…that said the last of the disaster was water. 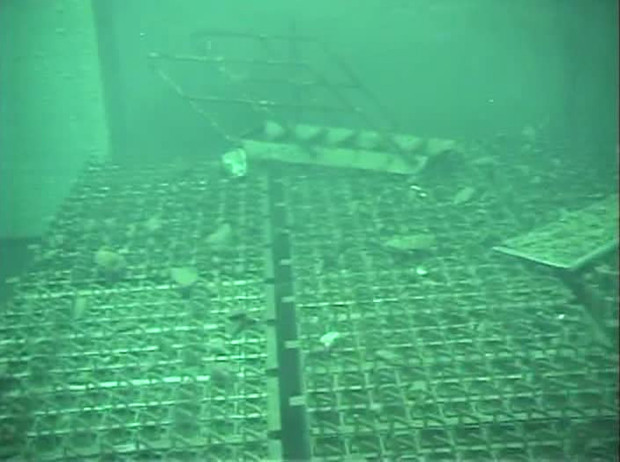 In their efforts to cool the reactors, TEPCO, the private corporation who owned the reactors and was given sole responsibility to contain it, resorted to pouring millions of gallons of water both into the reactors and onto the storage fuel cells to keep temperatures under control. Unfortunately most if not all of this water, now laden with radioactive Iodine, Caesium, Strontium and other radioactive bi-products, was washed into the ocean. Of all the health risks that Fukushima created this is the most credible. But let’s keep things in focus. The half-life or the time it takes for half of a quantity of a radioactive material to essentially be not radioactive…the half-life of Iodine 131 is 8 days… Caesium-137 is 30 years… Strontium 90 30 years…and Tellurium-129m is only 33 days. For those who live around Fukushima, these numbers are important. Because the long lasting ones are heavy…they are unlikely to travel far from the power plants. The others are not likely to be radioactive by the time they show up on our shores. Now, the main focus of this segment is to show how alarmist and fear mongers have exaggerated the real risks of the Fukushima event. BUT I must point out, for those who live around the plant…for those brave souls who work at the plant, this was a disaster…there are real and present risks to working there. I also want to make it clear that I think the way the private corporation with government acquiesce, completely botched the cleanup effort. By putting profit ahead of public safety, locals are much more likely to suffer lingering effects. If only the government lived up to its duty to protect society and took charge from day one…much of the valid criticism would not exist. That said, if you live around Fukushima…get mad and get active, as for the rest of us…get real. Now this is an attempt to be a double knockout. First, that the fear mongering over the quote atomic apocalypse done by Fukushima is bunk at best and exaggerated at worst. And secondly that relative to Coal power plants, Nuclear is a dream…it’s like comparing car deaths (coal) to airline crashes (nuclear). If you had your choice, you would take a plane to work if you could. So, lately there has been some press about a report by some scientists that claim that there has been a dramatic increase in child mortality that correlates…important word correlate…with the Fukushima accident. The report claims an increase of 35% in infant deaths following the disaster. It is implied that these death are the result of increased radioactive fallout on the west coast. However, if you check out the source of the data, the CDC or Center for Disease Control…some curious facts come to light. First, they only looked at 8 cities…Seattle, Portland, Boise…the one in Idaho…long way from the coast…San Francisco, Sacramento, Berkley, San Jose and Santa Cruz. Now, these are large Cities but why include Boise? Why not equally large Tacoma or Spokane, much closer to the coast and thus more likely to experience the effects of radiation poisoning? We have our first hint of cherry picking the data to conform to a pre-concluded result. Next, if you look at the period of study…four weeks prior and 10 weeks post-accident…as they did, you do see these dramatic results, however if you pull out 10 weeks prior and 10 weeks after, you see no significant trend at all. Another report coming out lately is a law suit by a number of sailors on the Aircraft carrier Ronald Reagan that helped with emergency help right after the natural disaster. 70 plus are claiming fallout has caused their health issues. One example used to show it MUST be Fukushima is 20 claims of testicular cancer, out of a crew of 5 and half thousand. National rates of this cancer is 1 in 20,000. It does seem high. But correlation and causation are not the same. And if radiation is the cause, one might point out the Ronald Reagan is a NUCLEAR powered vessel. Also, what are the number suffering from Leukemia? That is the most likely form of cancer to balloon if there was serious contamination. When the subject of why has there not been a similar explosion of cases on the mainland, the fear mongers say there is a conspiracy of silence…really? Last I could find, this case has been thrown out of court. Both were the highest level on the International Nuclear Event Scale…leading to recent talk that this scale may need to be refined. Each plant was constructed around the same time…Chernobyl in 1977 and Fukushima in1971. 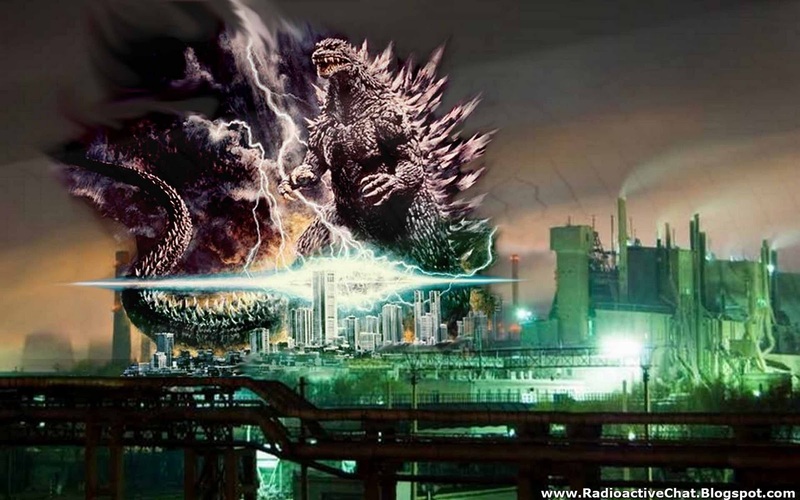 Fukushima produced about 20% more power than Chernobyl’s 4 gigawatts. Fukushima was a larger plant, 6 reactors to Chernobyl’s 4 and a bigger accident as in only one reactor in Chernobyl was involved in the accident, whereas Fukushima had four plus cooling ponds. Fukushima even had 10 times more fuel in their reactors. So, you might think Fukushima deserves the hype. That’s true until you realize these were very different kinds of accidents. In Chernobyl, you had the reactor explode…not only the reactor but the containment building itself was destroyed and you had parts on the innards strew outside the plant. That is what we would now call a dirty bomb. Fukushima on the other hand had contained meltdown. None of the core escaped the building. In fact, relative to the globe, the only source of radiation was carried away by the water used to cool the reactors. Don’t get me wrong, this aquatic waste, is an ongoing issue and has great potential risks for locals…but let’s look at the actual damage done by each. The peak radiation…direct radiation from the reactors…is a little 72 thousand millisiverts compared to 300,000 millisieverts for Chernobyl. 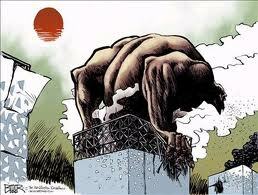 The amount released into the atmosphere has Fukushima at 900 petabecquerel compared to 5200 for Chernobyl. That said, there is still the risk of minor leaks that could elevate that number. 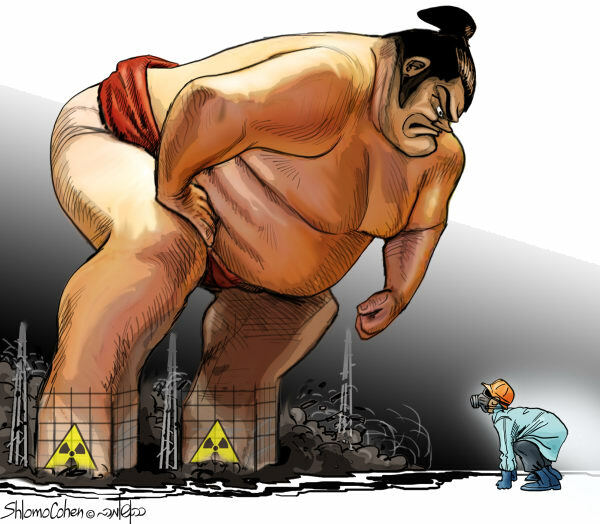 Total radiation released for Fukushima was 370,000 terabecquerel compared to 5.2 million for Chernobyl. And it should be noted, that the total amount leaked into the Pacific since the original event is about 7.2 terabecquerels…which sound like a lot, but compared to the volume of the ocean, latterly a drop in the bucket. 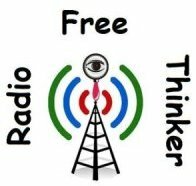 Deaths…We, as to date there have been no links to radiation deaths and Fukushima…now, cancers do take a long time to sometimes manifest so the story is open on this one, but the WHO states that those at highest risk, female infants to thyroid cancer have only had increased risk of 0.5%. For leukemia, an increase of 0.35%. The total of direct deaths from Chernobyl are about 31 that is those who died with months of the incident. The UN puts the total dead from radiation as of 2008 at 64. Some groups claim a much higher number anywhere from a couple of hundred workers to a few thousand. These have not been substantiated. In fact, in my research, the greatest by orders of magnitude, health effect was not cancers, be they caused by Chernobyl or not, the psychological fear that they may get a cancer. Rates of depression, suicide and alcoholism skyrocket in the region. So far, there has one kinda death from Fukushima…I say kinda because that death, from cancer did occur until 2 years later, compared to the 29 who died a month after Chernobyl. That said, he was one of the 50 volunteers who stayed at the plant when all others were evacuated. None of the other 50 have signs of over exposure. Now, I don’t want to sound like I am underplaying the damage done. It is likely that others…tens or more, will die from cancer and it cannot be ruled out Fukushima did not play a role in that. That said, Fukushima, although bad, was not an apocalypse. There were few if any lived lost, the area contaminated was lightly contaminated at least on land…I think the jury may still be out on the water ways close to the plant. And that is an issue only because a private corporation was put in charge of the cleanup effort and time seems to have shown that to be a bad idea. What might have been a dirty but quick clean up, like Chernobyl, has become a festering sour of low level sporadic leakage. Because of the hype and the press about this incident, Japan, Germany and other nations have shut down their nuclear power plants. They are now reliant on fossil fuels because the quote risk to life from an event like Fukushima is too great. I have already stated that the loss of live, worst case scientifically based scenario is many a couple hundred…maybe, if we have things VERY wrong, a couple of thousands. Not chump change I agree…and let’s make the anti-nuke argument stronger. A number of fear mongers, like the article I started this segment about, people like that have claimed that Chernobyl is responsible for 100,000 deaths. Let’s increase that by an order or magnitude and double it…to include Fukushima. So, over the past 30 years, it’s POSSIBLE that 2 million people died premature thanks to nuclear power. That’s a feck of a lot of people…but a lot compared to what? Japan and Germany have, at least in the short term, switched from nuclear to coal and oil power generation. This means there are more air pollutants, ground water contamination and general pollution…and unlike nuclear it’s not the locals involved but the entire planet or at least large regions effected by the pollution. Studies show that anywhere from 50 to 100,000 thousand people a year die due to air pollution associated with coal burning plants. An even stronger claim is made that almost 2 million air-pollution-related deaths were prevented globally over the past 40 years because of the use of nuclear power over air polluting fossil fuels. Even if we ignore the secondary effects, it is estimated that 2 and half thousand workers in the oil and gas industry alone and only in the USA have died on the job…and this is not including secondary deaths…ie from chronic poisoning from chemical exposure at work. In fact, when broken down to deaths per terawatt hour, the most safe form of power is nuclear at 0.04, compare that to Hydro at 1.4, Natural gas at 4, bio mass at 12, oil at 36, and coming out as the most dangerous source of energy on the plant, excluding asteroidal impact, is coal at a whopping 161. So, nuclear power may be controversial but it’s largely sound and fury and not substance. Personally, I would remove the subsidies we give the fossil fuel industry, supress NIMBYism visa vie nuclear power, tax carbon like we do tobacco and plow as much as we can into green environmentally friendly, yes I’m looking at you bio-fuels…evil…friendly energy sources. But until green has matured, invest in gen 4 and gen 5 nuclear reactors…into thorium based reactors, a long term solution to much of our energy needs especially with regards to space exploration where earth bound power source, like wind and solar are not viable. One last note, science will always find a way. It has been rumoured that there are plans to purposefully allow a nuclear meltdown to study what actually happens when such events occur. Of course this is to be done in a lab and only one fuel rod it to be used, but the events of Fukushima Daiichi has inspired us to strive to know more. When science is shown to be lacking, it attempts to self-correct by understanding where it when wrong and correct itself to be more accurate in the future. Okay, I just added this because I LOVE GODZILLA!!!! How does Fukushima differ from Chernobyl?